Chris not only plays saxophone and clarinet, but also composes, runs jazz events, and travels the world asan Associated Board Examiner. He taught saxophone at Birmingham Conservatoire for 15 yearsand presented his own radio show, Jazzbeat, on BBC Radio up until recently. A varied playing career has seen him work with The Temptations, Four Tops, Saxtet, B.C.M.G., English Chamber Orchestra, Pasadena Roof Orchestra &The Charleston Chasers. GumblesJazz Club, which he set up in 1987in Stafford, attracts top players from the UK and overseas. Another new project, Tribute to Cannonball, features arrangements played by the great Cannonball Adderley Quintet of the late 50s and early 60s, though his playing is most often likened to the American altoist Art Pepper. 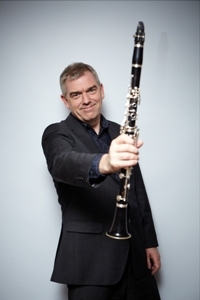 His educational music for woodwind features widely on ABRSM and Trinity/Guildhall syllabuses.